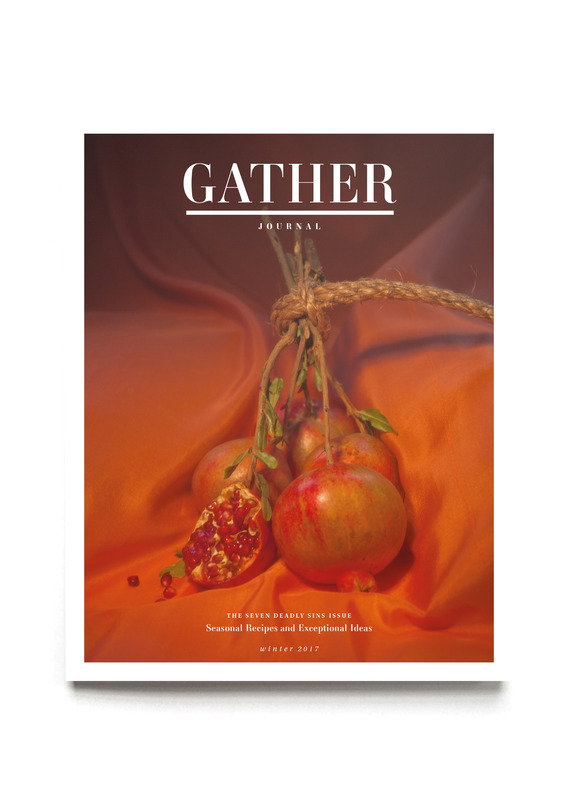 A recipe-driven food magazine, Gather Journal is dedicated to the many aspects of gathering: to dine, to drink, to harvest and to cook. The Winter 2017 issue of Gather takes you on a romp through the Seven Deadly Sins. 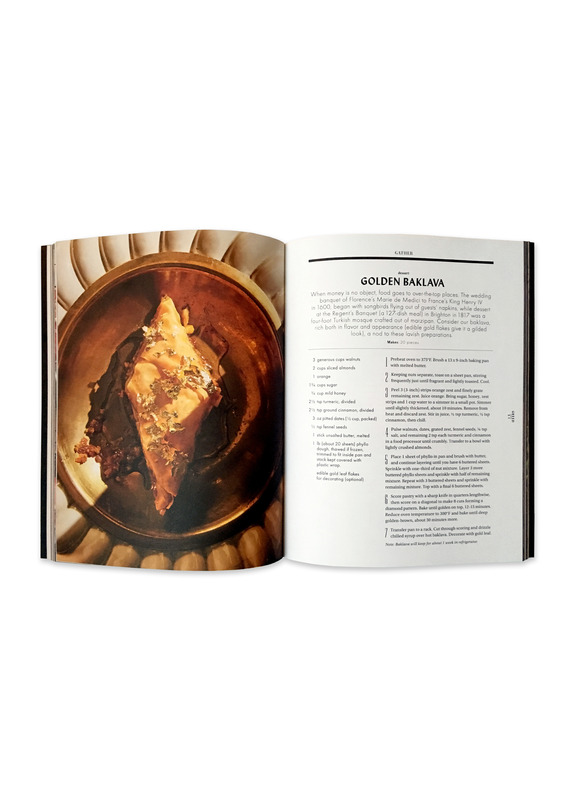 You’ll find menus rooted in Lust, Gluttony, Greed, Wrath and Envy; and concept chapters exposing a more tender side of Sloth and imagining the fanciful food aligned with Pride. There are essays exploring what is the greatest food sin of our time and the symbiotic relationship between lust and gluttony, plus musings on everything from supersize culture to ordering envy to Liz Lemon. Cover: Photograph by Stace Mark; food styling by Maggie Ruggiero; prop styling by Heather Greene.